Paris Hilton’s beau, Chris Zylka, just showcased his love for her by doing the most. 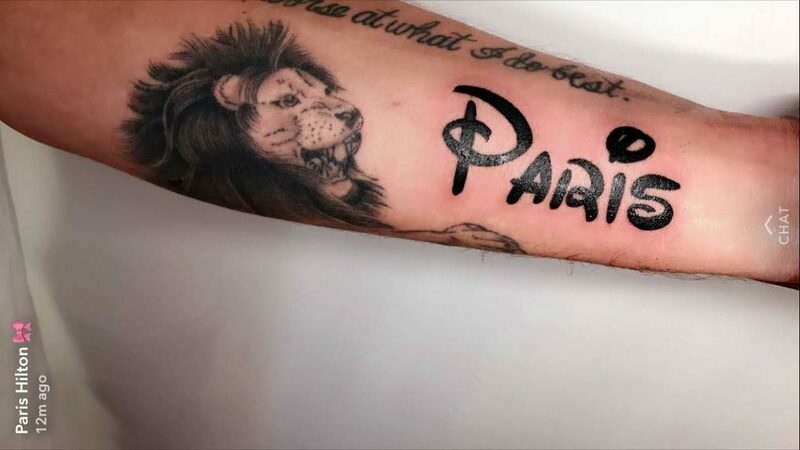 In a recent post to her Snapchat account, the reality star/heiress/DJ shared a pic of her boyfriend’s new tattoo, which serves as an ode to Paris and The Happiest Place on Earth. Disneyland Paris, perhaps? Zylka’s tribute to his love for Paris is an amalgamation of her name and the iconic theme park. Or, more precisely, it’s Paris’s name in the iconic Disney font. Word is still out on why Zylka decided to go for this font over literally any other one. But we’re willing to wager the new tat has some secret meaning behind it. Which means we’re willing to get on board with it, since we love secrets and romance. We’re thinking it might mean that he’s found his fairytale princess? Or, maybe Paris + Chris = a future fairytale ending? Who knows! But, if it’s about love, we can dig it. There seem to be a lot of Disney-style magic and changes going on in Paris’s life these days. Sounds like Paris’s love life is riding on a wave of magic these days. And we’d say that’s worth some Disney-style appreciation.